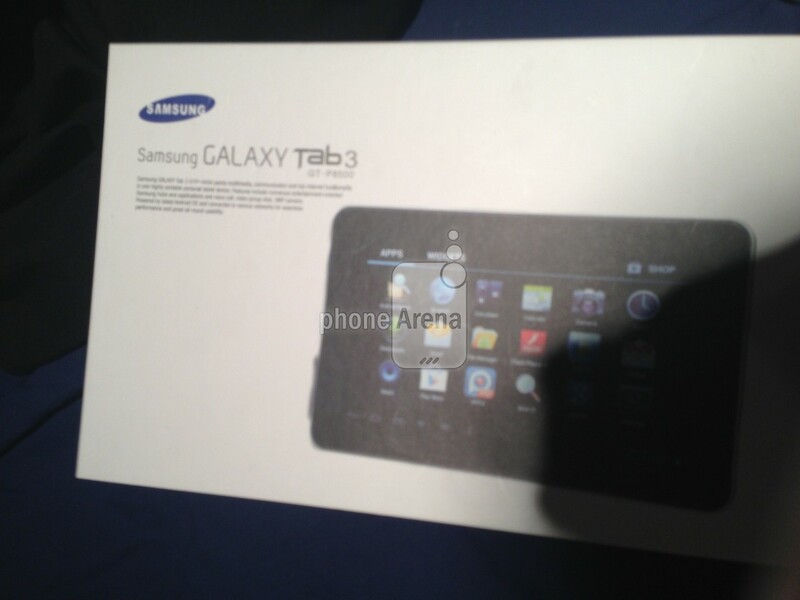 According to Phone Arena, they have themselves a couple pictures that are of the upcoming Galaxy Tab 3 from Samsung. 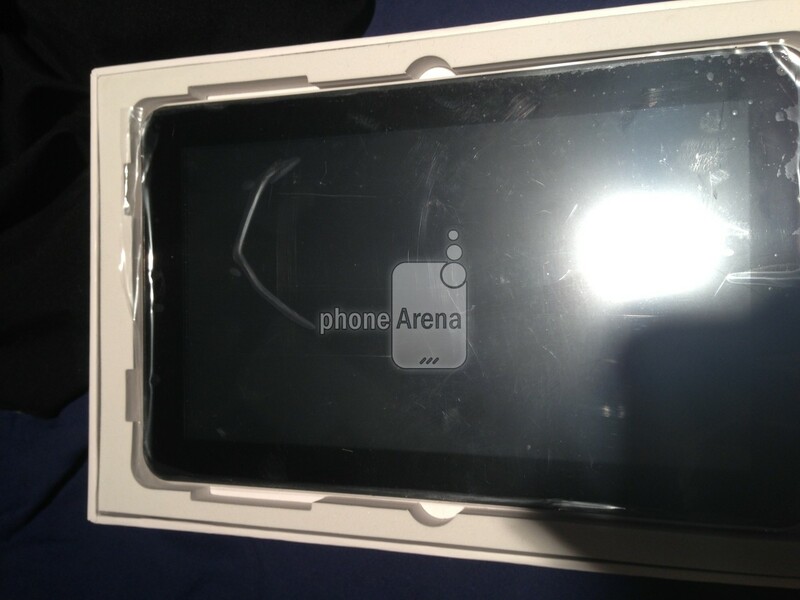 The above image shows a smaller tablet with overly sized icons and a strange looking button “thing” on the left side of the device. Naturally, the picture is blurry and we can’t make out the model name on the box, but it clearly says “Galaxy tab 3” above it. I do have a few discrepancies with this image, but I’ll get into that down below. The next image is of the actual device. It is still wrapped in its plastic and is turned off, which gives us basically nothing in terms of if this is legit or not. The only characteristic we can make out is that in the top right hand corner is a front-facing camera. Other than that, it’s a blank slate. As for my issues with this being a finalized packaged product, the outside of that box is not very “Samsung.” Usually, on their tablet boxes, they have some specs shown off as well as highlights on their software that comes baked in. Also, take note that there doesn’t appear to be a single Samsung application installed on that device. Where’s the TouchWiz themed Settings icon? Is Samsung getting in the business of releasing vanilla Android tablets? I doubt it. Now, this could be it, but it also may not be. It’s not a bad thing to question these images since as we all know, nothing is confirmed. In other news, I am almost now certain that no one that leaks images knows how to properly focus a camera.